Enttec is one of my favorite companies on the market today for how much effort they have put into developing not just products, but complete solutions across their product offerings. 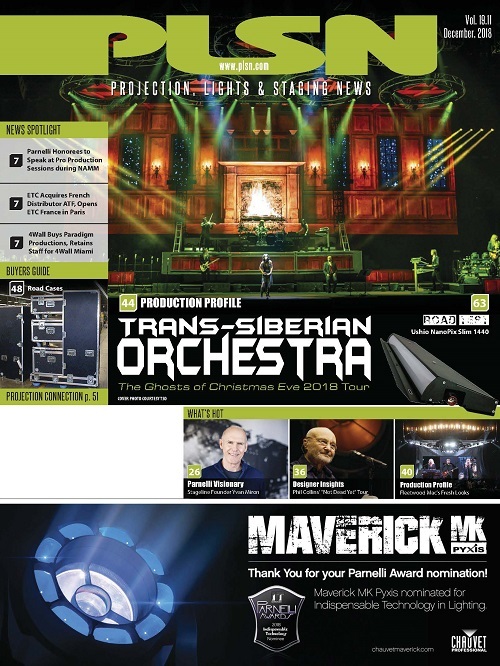 From LED pixel tape to LED power supplies, drivers and network control, they have seemingly put a lot of effort over the years into creating products for each portion of the signal path you may find need for on the most complicated productions. 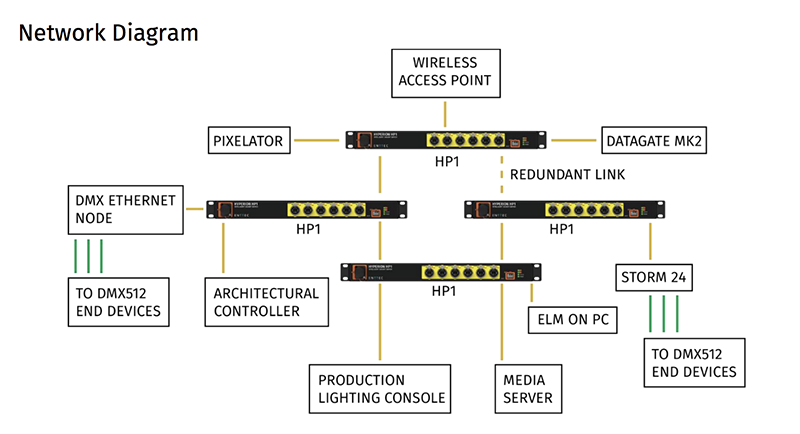 I’d previously reviewed Enttec’s software offering ELM (Enttec LED Mapper) a while back (PLSN, March 2016, page 61), and this summer they sent me their new Pixel Port (see Figures 1 and 2, below)and Hyperion HP1 Switch (See Fig. 3, below) to run through testing — two pieces of equipment that fill different needs, but come from the same thought process and pedigree. The Pixel Port fits into Enttec’s LED Controls line somewhere betwixt the Pixie Driver and Pixelator, and like its siblings, it aims to simplify the control methodology behind LED pixel products such as LED tape or dots. When using LED tape (especially pixel tape), the wiring and signal distribution required can be daunting with DC power supplies, DMX protocol conversion and terminal blocks all needing individual wiring connections across multiple, or sometimes hundreds, of universes of DMX. Enttec’s Pixel Port handles data and power distribution in a single device for up to 340 RGB or 256 RGBW pixels, allowing multiple lengths of pixel product to be controlled in 5V, 12V, or 24V variants. 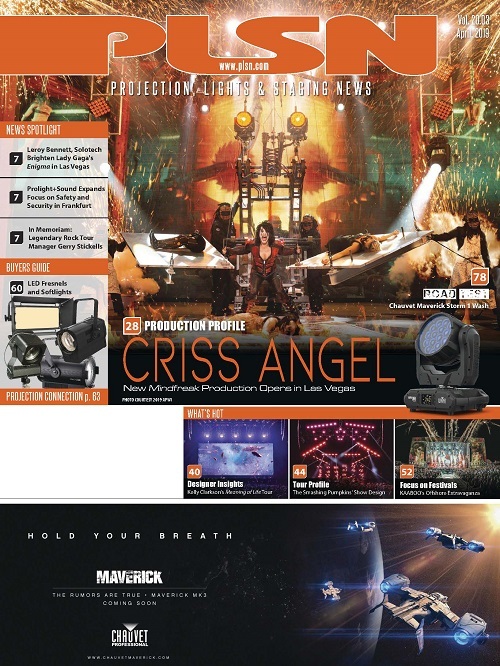 The device itself is very straightforward, consisting of a slick touring-grade metal enclosure, Powercon in and through connections, Ethercon in and through (10/100) and a single 4-pin XLR port for LED output (power + data). There are integrated fans for active cooling, as well as a few status LEDs for indication of status / power / link. 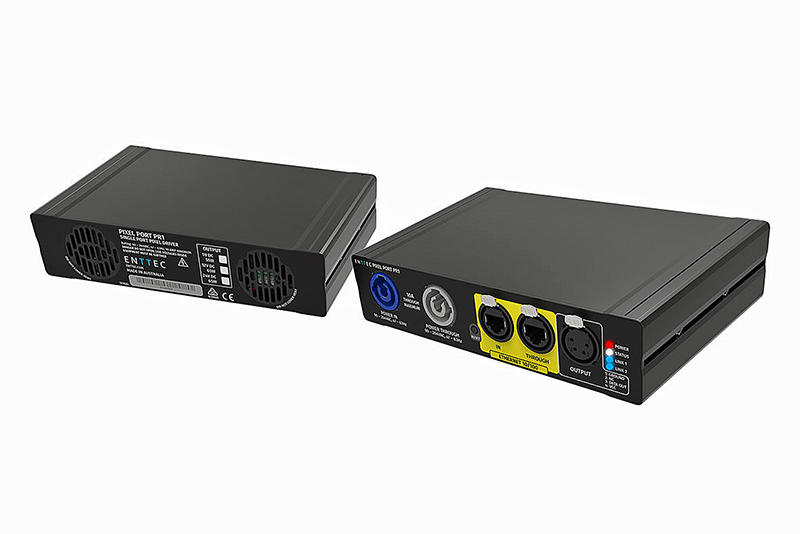 The unit has an auto-ranging power supply, which is great for traveling productions that will go through various countries and continents, or for integrators who want to specify one product for different locales. 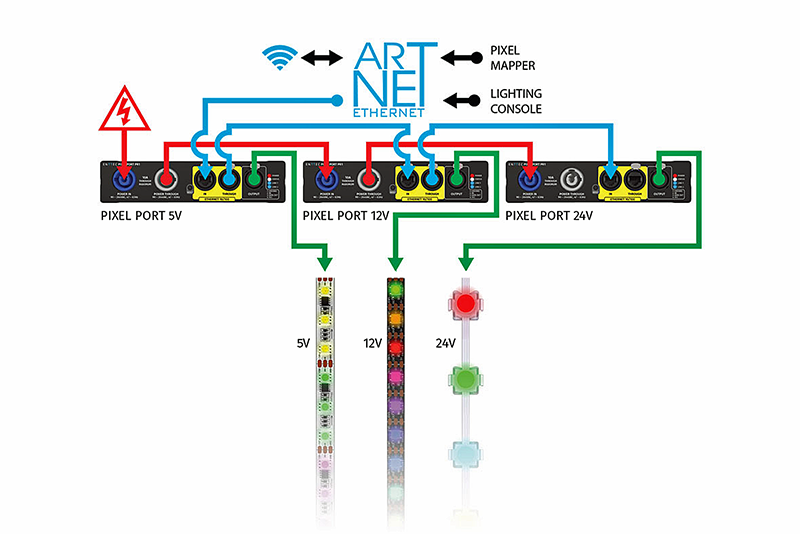 The Ethercon ports allow data input and through for the unit, and the Pixel Port supports Art-Net 1 / 2 / 3, streaming ACN (sACN) and ESP (Enttec’s DMX over Ethernet protocol). The Pixel Port makes it extremely easy to run multiple universes and groups of LED product, since you can just link a number of Pixel Port units together via Powercon and Ethercon until the desired number of control channels / universes is achieved. The 4-pin XLR output is a great format for power/data for LED products since 4-pin cable can be sourced easily enough, run easily, and Enttec can provide a 4-pin breakout cable that accommodates different formats of LED product. If you’re using a different product, a 4-pin breakout cable of your own could easily be fabricated in bulk to make distribution easy. Enough of the nitty gritty — the best part about the Pixel Port by far is actually using the thing. Enttec has a suite of tools that make their products easy and powerful to configure, starting with their NMU (Node Management Utility) software. Once you have a number of Pixel Ports linked together via Ethernet on a network, opening NMU will show all devices present and give a hyperlink to access them individually via web browser. All of the Pixel Port configuration is actually done directly via browser, which is extremely easy and means that your systems tech(s) or integrators don’t need another piece of software just to configure devices. The web config allows changing of DHCP / Static IP setting, as well as protocol (Art-Net / sACN / ESP), as would be expected. The Pixel Port supports Enttec’s protocols for it’s tape and dot products, as well as a bunch of different LED SPI protocols for output, meaning that specifiers have a lot of options for product selection beyond just WS2811/2812. Where I really enjoyed the functionality and versatility of this device was in the pixel configuration options — when using direct pixel control, you are able to determine the color order of LEDs on the output (RGB/BGR/GRB/etc. ), as well as change the DMX-to-pixel grouping and universe ordering if multiple universes are used on outputs. The Pixel Port also has an effects control mode that I experimented with that some users may find powerful to get quick standalone shows set up without the use of a pixel-mapping or effects software. 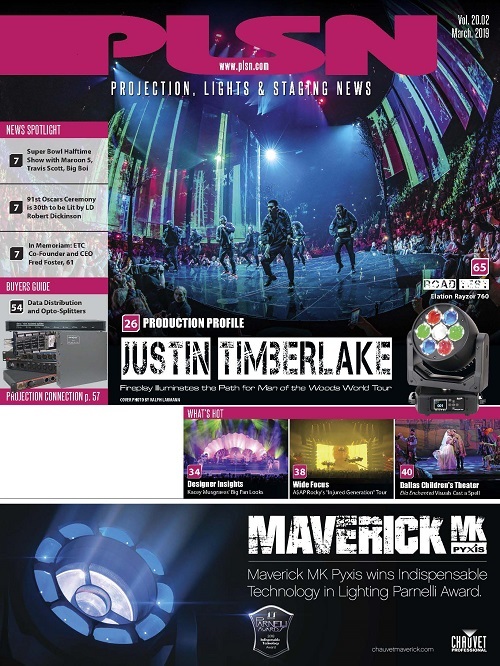 This control mode uses 17 DMX channels to control the background color, foreground color / effect / strobe, and is certainly capable of creating some nice effects quickly out of the box without the use of another complicated piece of software or hardware. This mode might be especially useful in a small theater setup with a simple console, where more complicated effects across multiple universes of LED tape would take a lot of time/effort. 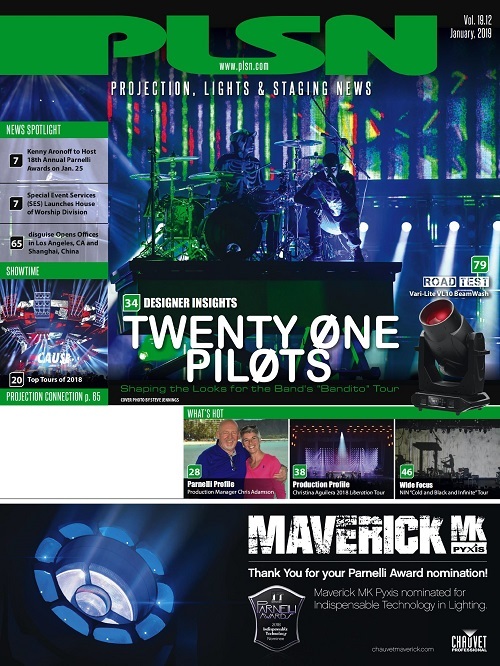 For my own uses, I always use direct-pixel control of LED tape or similar products, as I’ve done a lot of large-scale pixel mapping installations and prefer the discrete control of mapping. I tested the Pixel Port sending data from a grandMA2, ELM and Madrix, and all worked really well without issue using both Art-Net and sACN. Overall, the Pixel Port is a well-thought-out product with many features that can cut down on a lot of headache, wiring and troubleshooting on most small-to-medium-scale LED installations, and it’s worked its way onto my list of preferred products to specify. If you are needing to control more than 10-20 universes of LED product, though, best to look to Enttec’s Pixelator Mini or Pixelator, which are the big siblings of the Pixel Port and allow control of up to 2,720 (Mini) or 8,160 pixels per device. The gigabit switch category of the lighting network market can be a confusing, expensive place to shop, with lots of terminology, options and configurations available depending on the use case. Enttec’s Hyperion HP1 is a new offering in this sector, and is described by the manufacturer as an “intelligent gigabit network switch.” It fits in an interesting position somewhere between unmanaged and managed switches, but manages (sorry for the pun) to be extremely feature-packed for the price point, and Enttec brings the familiar ease-of-use from the rest of their product line to this device, making it a powerful piece of kit to consider. 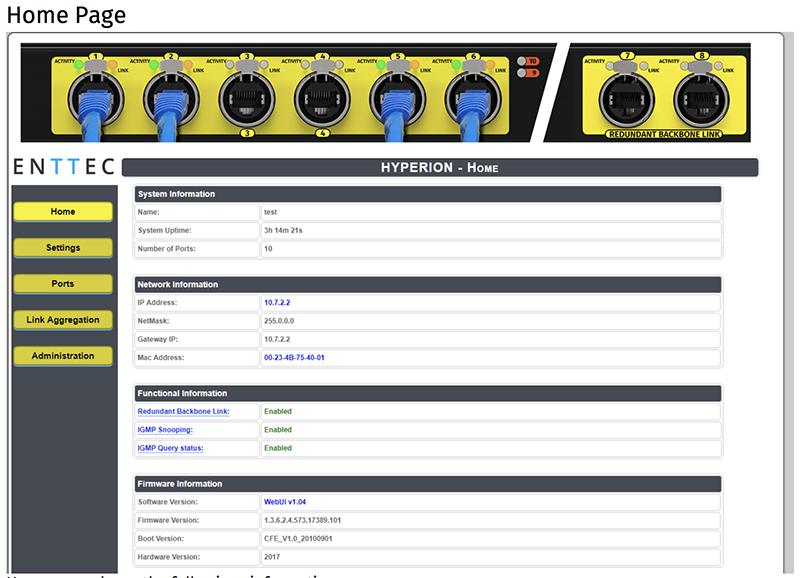 The Hyperion has multiple configurations available, all built around a single-rack-space tour-grade enclosure. On the front, six (6) 1Gbps Ethercon ports with individual activity and link lights form the main connection points, with a single 1Gpbs SFP port for adapting to fiber. On the rear of the unit, there are an additional two (2) 1Gbps Ethercon ports and a single Powercon input. There is an additional port available on the front or rear, depending on the configuration chosen, which can be OpticalCon fiber or LC duplex. The Hyperion’s Powercon input and auto-ranging power supply support voltages from 90-264V and 47-63Hz, so as a touring-grade product, this switch checks the boxes of being able to take whatever power is thrown at it. With eight (8) gigabit Ethercon ports and a total switching capacity of 52Gbps, the flexibility of networking media servers, consoles and other distribution devices has already been covered — this is supposed to be an entertainment-grade switch, so that’s to be expected. With this in mind, the Hyperion supports and prioritizes standardized lighting protocols including Art-Net, sACN, MA-Net, and includes IGMP snooping by default for better management of multicast traffic on networks, as well as protection against denial-of-service attacks. Where Enttec has really done a great job with this switch is in its configuration. As with its other products, their free NMU (Node Management Utility) software can be used to sniff out Enttec devices on a network should you not know the IP address. Once you’ve located the device you’re looking for, NMU provides a cute little hyperlink to open the web browser configuration page, as all config is done from password-protected web portal. 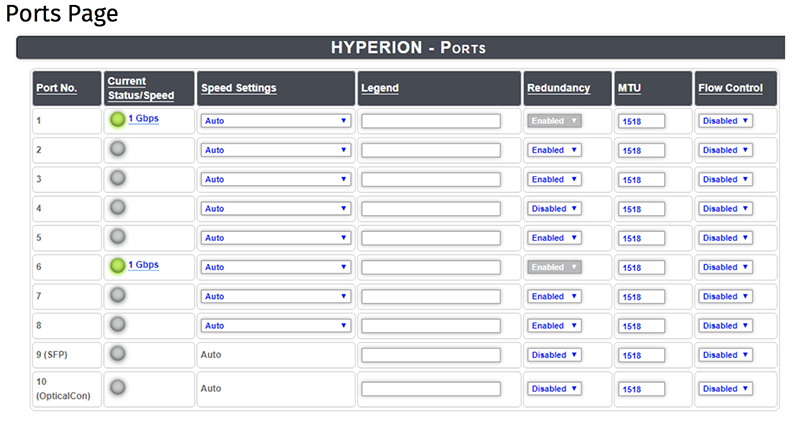 Within the Hyperion web portal home page, you will see the real-time status of each port of the switch graphically at the top of the page, as well as the system uptime, network info (IP, Mac address) and firmware info. The switch can be configured with notes and point of contact info — great for integrators who want to put a contact within the web interface if facility engineers were to get into trouble or have questions about changing things. Within the Ports page, the real-time status and speed of each port (including fiber ports) is visible, and a detailed overview of each port’s statistics can be expanded — great for sniffing out issues with transmit/receive or dropped packets. As far as configuration options, the Hyperion has some great features. Each port’s speed can be configured up to 1Gbps, the port can be labeled within the web interface and flow control can be enabled/disabled. One feature that really sticks out is redundancy. In previous Hyperion firmware, only the rear Ethercon ports 7 & 8 could have redundancy enabled, but their latest firmware allows redundancy across all ports. 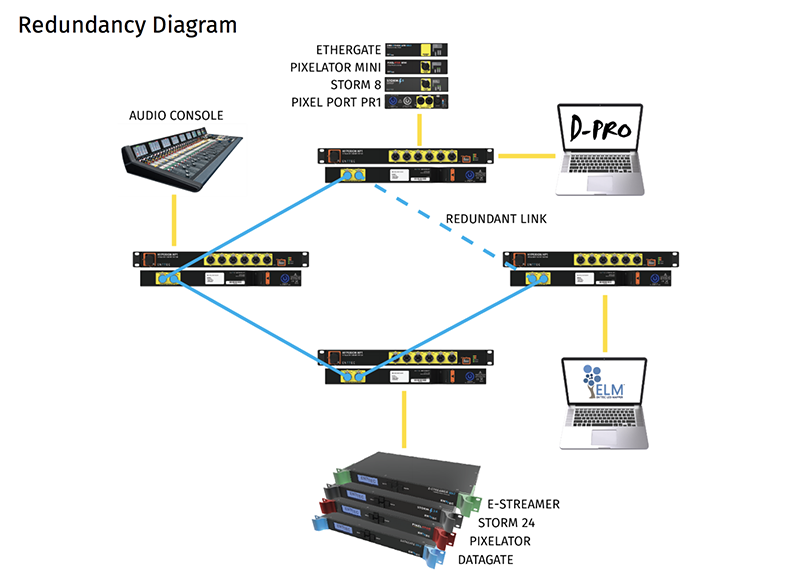 Generally, linking the same two devices with more than one Ethernet cable can cause a lot of issues with packet conflict and data feedback, and Enttec’s redundancy feature allows dictating two ports to work together as a true main/backup Ethernet run. The Hyperion will detect a link failure on the main port / line and automatically swap to the backup port / line in a fraction of a second. This feature eliminates the human factor of having to swap to backup cables in the event of a failure being noticed and has an easy and slick implementation via the web interface. Another nice feature within the Hyperion and web interface is trunking / link aggregation, which allows multiple ports to be linked together for more throughput and bandwidth. The Hyperion, however, is not a truly managed switch in that there is no VLAN functionality, but many of the other features you’d expect in a managed entertainment switch are certainly present. 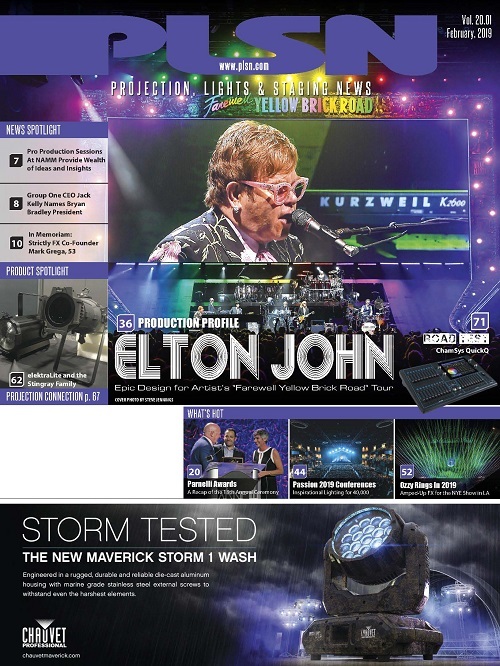 Speaking with Enttec, this was their intention — they wanted to release a switch that could be used as a simple unmanaged device but has all the capabilities of an “intelligent” switch, while keeping price point to a minimum compared to other entertainment-grade switches that cost upwards of $3,000 new. The Hyperion definitely has a place in the industry, and considering the base model starts at a hair under $1,000, it packs a ton of features for the price. I’ll be looking for opportunities to use the product, but I will say that a version of the Hyperion with VLAN capabilities and perhaps 10Gbps ports would be a mighty fine premium addition to this lineup. If you are in the market for an easy-to-use, smarter gigabit switch, but don’t need VLAN capabilities, the Hyperion HP1 series is certainly worth a look. For more information, visit www.enttec.com.